BreastScreen Queensland as part of the national BreastScreen Australia program is the only nationally accredited breast cancer screening provider in Queensland offering free screening and assessment to eligible Queensland women. For more information about BreastScreen Queensland, please click here. The purpose of the BreastScreen Queensland Consumer Panel is to enable women with an experience of breast screening to provide a consumer perspective on BreastScreen Queensland’s range of communication and information materials, correspondence and strategies to improve participation and women’s overall experience of the program. BreastScreen Queensland has an extensive range of communication and information materials, including brochures, flyers, information sheets and digital media. BreastScreen Queensland also sends a range of correspondence to its clients and undertakes a range of strategies to increase awareness of and participation in breast screening. The successful Panel members will be required to provide ongoing feedback and insight regarding BreastScreen Queensland’s suite of communication and information resources and correspondence such as direct mail invitations. For example, the panel might review a draft version of a new resource or provide feedback on existing documents. Panel members may also be asked to provide feedback and insight on proposed strategies to improve participation in and women’s experience of the program. This opportunity would be suited to women aged between 50 – 74 years. The ideal panel member would have attended a BreastScreen Queensland service, however, this not mandatory. 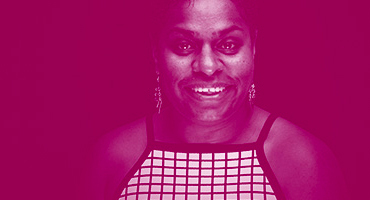 It would also be valuable to have a diverse panel including women who live in rural and remote areas, Aboriginal and/or Torres Strait Islander women, women from culturally and linguistically diverse backgrounds and women living with a disability. Consumer engagement activities will be on an ad-hoc basis depending on the project and consumer interest and availability. The Panel may meet face-to-face on a bi-annual basis, though many projects will be suitable to communicate your feedback either via email or over the phone. Flexibility will be on offer to suit the successful candidates. Consumers will be remunerated in line with Health Consumers Queensland’s guidelines. All expenses related to participating in the panel will be reimbursed by the Cancer Screening Unit. Please complete this Expression of Interest and return it to consumer@hcq.org.au by Monday 6, May 2019. For assistance completing this Expression of Interest please contact Michael Taylor via Michael.taylor@hcq.org.au,or by phone on 07 3012 9090.